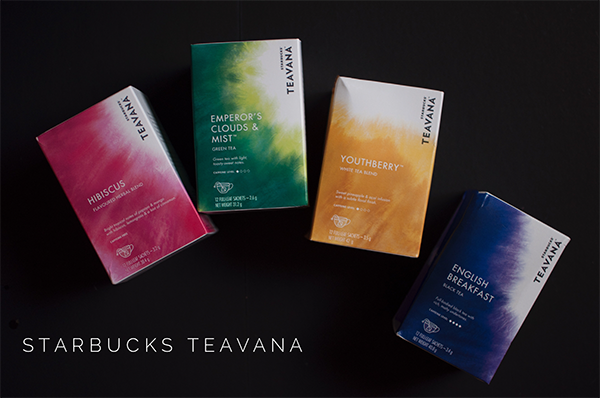 Starbucks is strengthening its tea lineup by bringing the upscale Teavana brand here in the country beginning September 14th. The initial offering comes with four full leaf tea flavours - English Breakfast, Youthberry, Emperor's Cloud and Mist and Hibiscus. Also in the line-up are these complex handcrafted recipes - Iced Shaken Hibiscus Tea with Pomegranate Pearls, Iced Shaken Black Tea with Ruby Grapefruit and Honey, and the Matcha and Espresso Fusion. Teavana effectively replaces the Tazo Tea brand and is now a permanent menu item in local Starbucks stores.